From the Coach who's been Featured in the CrossFit Journal, Has a Track Record of Safety, and Sent an Athlete to Regionals. Writtenby head coach Dr Greg Skelly. 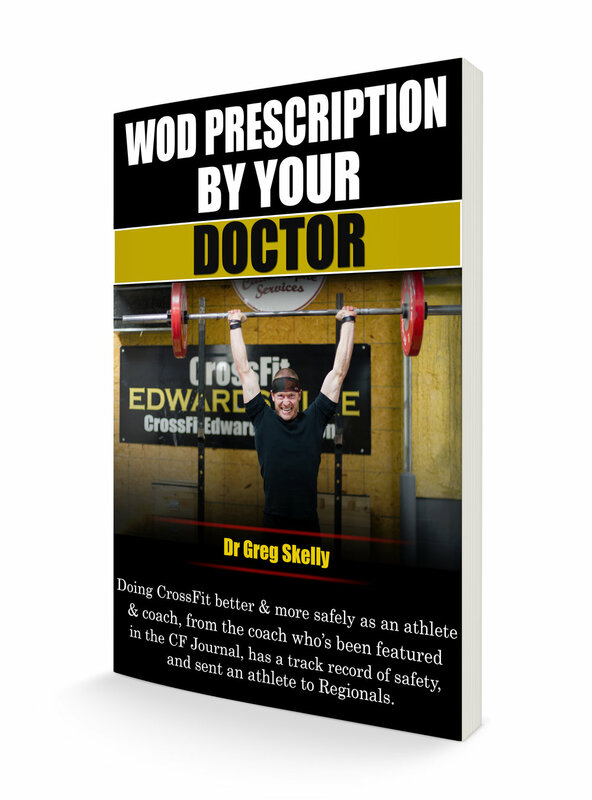 This book is directed to aspiring or current CrossFitters. Want a FREE copy of the book? Text EBOOK to 618-248-4256 and we'll get one to you RIGHT AWAY! An excerpt from head coach Dr Skelly’s book. Text 10SECRETS to 618-248-4256 and we'll get one to you RIGHT AWAY! Thanksgiving Clean-Eating Guide, Recipes, and More! A great Thanksgiving-Day clean-eating guide by Kelsey Albers of Ignite Nourish Thrive! Want a FREE copy of the guide? Text THANKSGIVING to 618-248-4256 and we'll get one to you RIGHT AWAY! Fitness & Nutrition Secrets for Busy Professionals: How Busy People with Families & Jobs can Transform How They Look, Feel, and Perform.